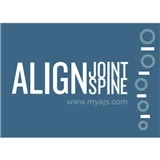 Align Joint & Spine (Chicago) - Book Appointment Online! Our office is conveniently located next to the Irving Park Brown line stop on the north side of the street at 1820 W Irving Park Road. Unlike most offices, we don't specialize in pain or problems. We specialize in removing them and restoring your ability to enjoy your life without any barriers or obstacles. Whether it's enjoying a nice long run on a warm sunny day or picking up your son or daughter without worrying about your back going out. Our office specializes in finding the cause of the problem and getting you back to do what you want to do without having to worry about getting hurt again or only being able to do things halfway. We understand, it's not just pain, it's the loss of freedom and function. With nearly 20 years of practical experience, we can provide a clear path to your recovery and return to a pain-free, active life without limitations. I had a great experience. The staff was friendly and helpful, and Dr. Dan was great. He was very knowledgeable, professional, and kind throughout the entire appointment; I will definitely be seeing him again.